child development providers so that they can support the development of dual language learners, for the startup or expansion of dual language immersion programs; and establishes a California Exemplary Bilingual and Biliteracy Program school recognition program. Build capacity in school districts, county offices of education, and charter schools to effectively implement the EL Roadmap. Ensure inclusion of the EL Roadmap at every level of California’s System of Support; Levels I, II and III. Establish connections with Local Control and Accountability Plan (LCAPs) and Title III Plans leading to meaningful goals and outcomes requiring full access to curriculum, assuring meaningful progress toward attaining academic English proficiency and closing gaps in academic achievement for students who are EL. Implement instructional programs that effectively develop academic content knowledge, discipline, specific practices, academic language and bilingual/biliterate proficiency. This bill establishes the Golden State Teacher Grant Program. Under this program, the California Student Aid Commission will award one-time grant funds of $20,000 to students in educator preparation programs with their commitment to teach in a subject area impacted by the teacher shortage. The student must commit to teach for four years in the high-need subject area after the student receives their teaching credential. The subject areas are: Bilingual Education, Special Education, Science, Technology, Engineering and Math (STEM). 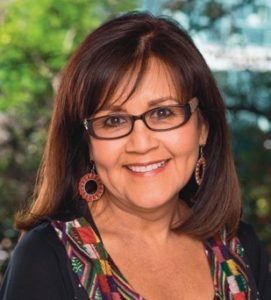 Martha Hernandez, Californians Together’s Director of Policy and Initiatives is featured in these two ELLEVATION podcasts (Part One and Part Two) about the Seal of Biliteracy. How has the Seal of Biliteracy evolved from a California-based grassroots movement to a highly regarded program offered in 35 states and the District of Columbia? How might offering the seal of biliteracy help school districts strengthen their language programs for all learners? What pathways and checkpoints are built into the journey toward the seal of biliteracy to help guide students toward the ultimate goal of biliteracy? How are districts assessing criteria to achieve the Seal of Biliteracy? What supports are available for teachers with diverse groups of language learners? How can the Seal of Biliteracy help mitigate larger issues, like home language loss and equity in education? Over the past year, Californians Together has partnered with local county offices of education to offer a one-day professional learning session on how to foster a safe and inclusive learning environment. Join us to gain resources we can all use to support our students socially, emotionally, and academically, including standards-aligned lesson plans, socio-emotional guide and resources to create “Safe and Welcoming Schools”. This session may support LCFF Priority 6, AB699 implementation, State Social Emotional Guidelines, and Safe Haven Schools initiatives. District and county professional development staff, teacher leaders, English learner specialists and coordinators, Title I and Title III administrators and specialists, leadership teams from the district, county, or school site. For the past eight years we have worked closely with Tom Torlakson, State Superintendent of Instruction and have accomplished so much for English Learners and biliteracy for all students in California. 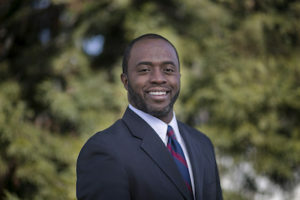 We are thrilled to now have the opportunity to work with a dedicated leader who has championed the fight for a quality and equitable education for all California students, Superintendent-elect Tony Thurmond. His election brings energy and a vision of bilingualism and biliteracy for all students in California. As an Assembly Member, Tony authored AB 2514 creating grants to consortia of districts to initiate or expand dual immersion or developmental bilingual programs pre K – 12th grade. He supported the appropriation of $5 million for grants to increase the bilingual teacher pool and knows that this is just the beginning of what is needed to staff the expanding demand for bilingual teachers across California. We look forward to working closely with our new State Superintendent of Instruction and to move forward with a positive and progressive agenda for English Learners. 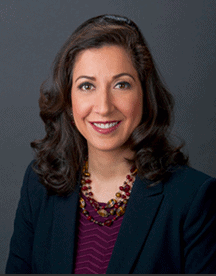 As one of his first appointments, we are very pleased that Lupita Cortez Alcalá will be returning to the California Department of Education as the Chief Deputy Superintendent, serving as the leader of all Divisions in the California Department of Education. Prior to her leaving the Department she served as the Deputy Superintendent Teaching and Learning Support Branch which included the Division of English Learner and Migrant Education. Under her leadership, she supported and led the development of the English Language Development Standards, the formation of a Division for English Learners and Migrant Education, supported the creation and implementation of the Seal of Biliteracy, the development of the English Language Arts/ English Language Development Framework and was a clear voice for bilingualism and biliteracy for all students. Californians Together offers our services and support to these two great leaders. We look forward to working with them and continuing to promote high-quality programs and instruction for English Learners. YOU are invited to our 20th Anniversary Gala! 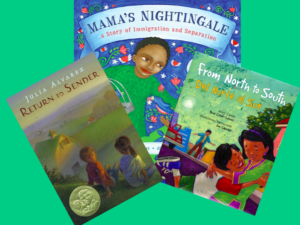 When all of our voices are heard, English Learners and their families win. Friday, September 7, 2018, Governor Brown signed AB 2735 (O’Donnell) into law prohibiting English Learner students from being denied enrollment in core curriculum courses, courses required for high school graduation or courses for purposes of recognition for college admission, such as advanced placement or honors courses. With the Governor’s signature, we’ve reached an important step in ensuring all English Learners have access to a full curriculum. The law takes effect on January 1, 2019. We will keep you posted as to how information on these new requirements will be disseminated. Thank you for taking the time to respond to our Action Alerts.